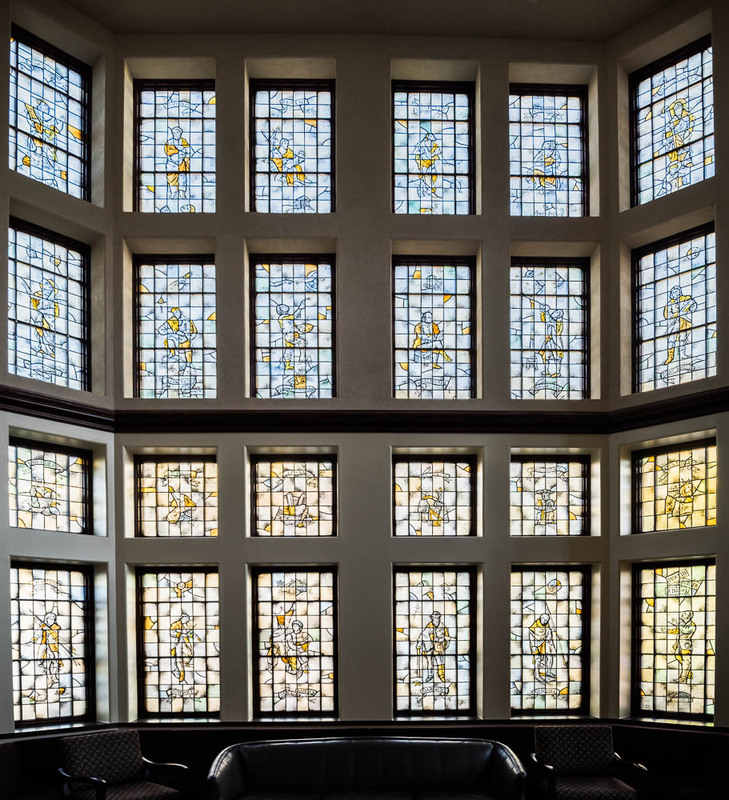 This magnificent window graces the Great Room in the Ruane Center for the Humanities at Providence College. The window was designed by artist Sylvia Nicholas, a stained glass master who lives in New Hampshire. Sylvia Nicholas also designed the stained glass windows in the St. Dominic Chapel, as well as several sculptures located throughout the campus. This masterful display of major figures in philosophy, history, science, and other areas of the humanities, was installed in the Fall 2017 semester, following the building’s dedication four years earlier. To see details of the individual panes, simply explore the galleries for each row, below. How wonderful to see Darwin next to Gandhi and Shakespeare next to Galileo! These are the sorts of juxtapositions one has the liberty to explore in a liberal arts education.